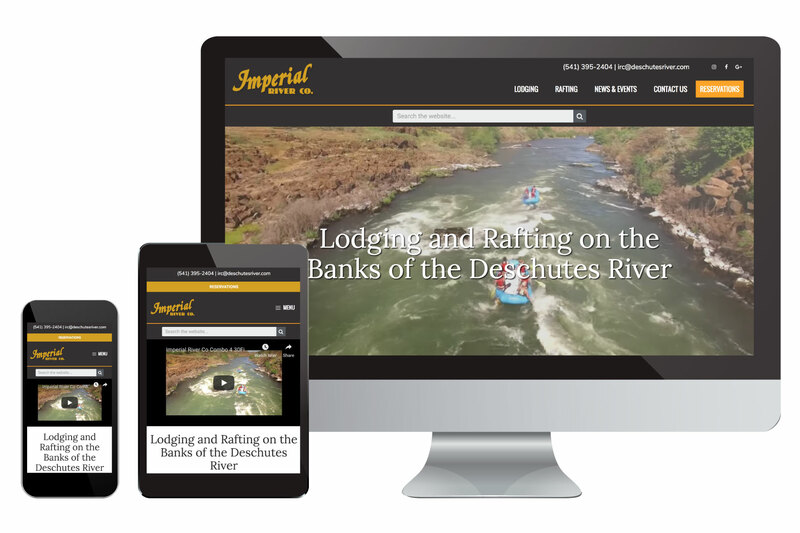 The Imperial River Company is a cozy hotel that also offers whitewater rafting tours on Central Oregon’s famous Deschutes River. Located in the town of Maupin on the banks of the lower river, they offer full-service dining, conference rooms and numerous lodging/rafting packages. Through the use of looping videos and large–scale images, the website portrays the excitement of both their guided whitewater rafting trips and their well-appointed accommodations. The SEO–intensive site also points the user to the company’s reservation software on various pages.